Bridal showers are a special addition to most wedding plans and there are endless ways to celebrate them. Traditionally, the Maid or Matron of Honor and bridal attendants host the bridal shower. However, it has become quite common for multiple showers to be hosted by family members or friends in honor of a bride and groom. Here are a few simple tips to ensure that the bride and her guests have a truly enjoyable event. First, make sure that the location is suitable for the number of guests you expect to attend. Too many people in a small, cramped living room would be uncomfortable and memorable for all the wrong reasons. It is completely acceptable to host the shower at a local clubhouse, hall or restaurant. Be very clear when hosting at a public facility that you have reserved it for an adequate amount of time to complete all the activities you plan to do. The hostess of the shower should send the invitations, with the bride assisting her with the guest list. If multiple showers are to be held, try not to invite guests to more than one shower. Obviously, there are some exceptions, such as mother of the bride or mother of the groom. In such cases, personally assure those guests know that their attendance is requested and an additional gift is not expected. 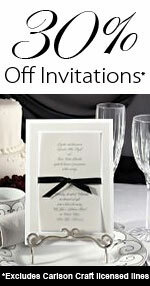 Invitations should be sent only to those who are also invited to the wedding ceremony. Exceptions to this rule include groups of coworkers; the wedding is to be a “destination wedding”, or if the wedding ceremony itself is small, but the reception list is more extensive. Invitations should be mailed at least three to four weeks before the shower so that guest will have enough time to reserve the date on their calendars. When preparing the invitations, make sure that the bride’s full name is listed. If the guest list is predominated by those from the groom’s family, it is also a good idea to list his name as well. If possible, list not only the start time of the shower but the ending time as well to assist guests with their calendar planning. Be sure to include specific instructions if the event is to be a themed bridal shower and how guests are expected to participate. Include a map or written directions if there is any doubt that someone may not be familiar with the location of the shower. A phone number and request for RSVP is vitally important to include in the invitation. If a bride is registered for gifts at a retail establishment, this information may be included in the invitation, usually on a separate, smaller card. Be aware, however, that some consider this an improper solicitation for gifts. Consider the guest list and try to gauge their reaction when deciding whether to include gift registry information. It may be best to pass that information via word of mouth to avoid appearing greedy. Thank you notes for shower gifts should be sent as soon as possible after the bridal shower and definitely before the wedding. Thank you notes should be signed with the bride’s maiden name. The note should include mention of the specific gift and thank the guest for her time attending the shower.